Today, January 7 the Church in Canada celebrates the Memorial of St. André Bessette of Montreal with a full Mass Proper. In the United States it was celebrated yesterday, January 6 which was the anniversary of his death as an "Optional Memorial." I am not sure why the Canadian bishops chose to seek Rome's approval for the approval of this Memorial on January 7, but I do agree with it. Often, feasts and memorials are on a significant day in the life of the particular saint and usually on the day of the death, the birthday into eternal life; but this is not always possible so dates close are sometimes chosen. The U.S. bishops chose January 6 but I believe this was wrong. While I can't say for sure that the Canadian Bishops felt that January 6 is truly Epiphany and that some day we might use this proper date again, I'd like to think so. Sitting at breakfast at the usual Aris' Place, with a seminarian friend after Mass this morning, the subject of the state of the Church once again arose. He reminded me about long ago investigations into goings on in the Curia by Don Luigi Villa of the Diocese of Brescia. I mentioned to him about something similar conducted by another great Quebec Churchman, the late Édouard Cardinal Gagnon, P.S.S., whom Msgr. Vincent Foy considered to be one of Canada's "most illustrious churchmen...a holy, learned and courageous teacher and defender of Life and the Faith." Perusing once again the tribute by Msgr. Foy in Catholic Insight, I could not help but wonder how much the late Cardinal took to his grave and how he suffered for the Church. 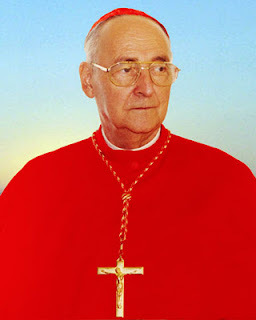 Cardinal Gagnon believed many Canadian bishops to be in schism due to the Winnipeg Statement. He fought to keep Archbishop Lefebvre and the SSPX from breaking from the Church and he suffered for what he knew and what Pope Paul VI would not heed. While he was not totally ignored by Pope John Paul II and was eventually appointed to head a Pontifical Council, his findings were never revealed and we will never know, at least not on this side of eternity, whether any of his advice on the modernist corruption at the Lateran or the scandals in the Curia were acted upon. Let us pray that St. André Bessette will seek the grace and mercy of God upon Quebec and Canada. Let us also pray that through God's grace and St. André's intercession, Canada's newest Cardinal will seek to emulate the clarity, faith and holiness of the late éminence grise as we see upon us a new year which will be of great challenge and continued upheaval in our culture. The CCW Chabanel psalms are great! I have sometimes used them directly, or modified them to fit our NRSV text here in Canada (the Chabanel psalms typically use NAB text from the US lectionary). The response of my parish has been positive towards these settings. Interestingly, last fall at a music workshop for the new missal, during a psalm session, we were told by the workshop leader that the only translation of the psalms allowed during Mass in Canada were those using the NRSV text (as in the Novalis Sunday missals) or the Grail text (as in CBW). So, maybe I'm breaking the rules when I use the CCW Chabanel psalms in Canada? I also wonder if we are allowed to use the Simple English Propers in Canada? thanks for your time. Yes, you can use The Simple Propers and I do weekly. These are an English translation of the Graduale Romanum and the GIRM in Canada states: "Mass begins with the Entrance Chant from the Graduale Romanum..." The texts in the Roman Missal are different than those sung. Yes, you can use them! Brother Andre is a saint due to his incredible humility. He is a light in the darkness that is the Church in Canada. 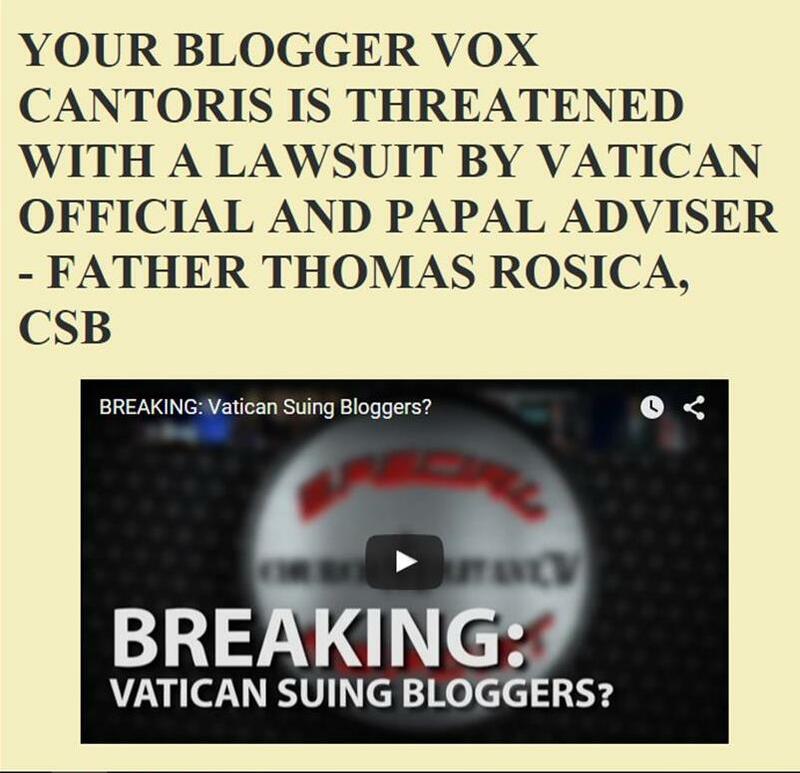 Sadly, the CCCB continues to keep up information on the disgraced former bishop who shall remain nameless.